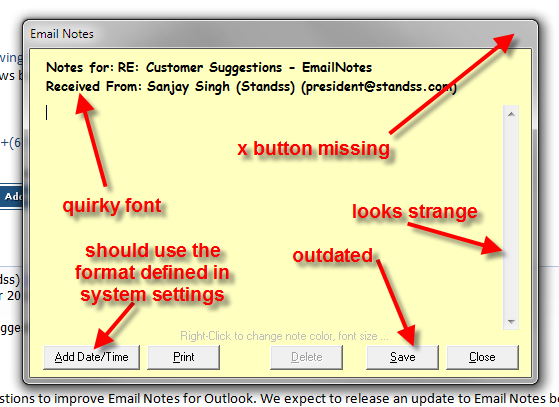 Have you ever wished to have some kind of virtual Post-it note that you could attach to emails in Outlook? For example to scribble down what you need to mention when you reply? Well, I have. 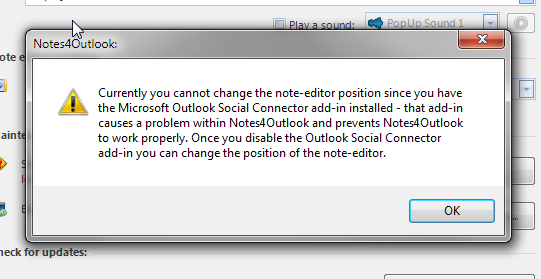 And I was once more annoyed with Outlook when I found that although Outlook (2010) has a notes function, you cannot attach these notes to an email. It’s ridiculous! Well, let’s not discuss this further. It’s just too frustrating. 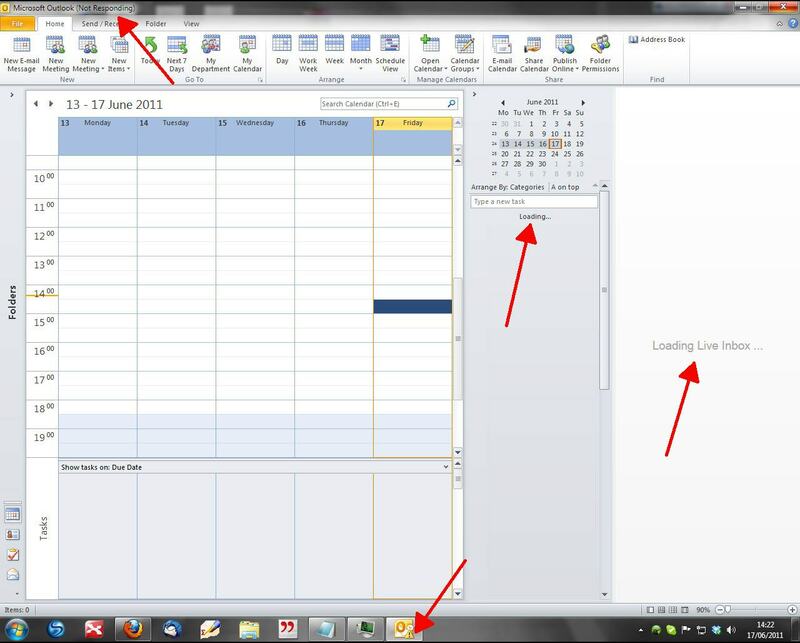 This occurred when I wanted to have the Notes displayed below the email in the reading pane rather than on the right hand side. 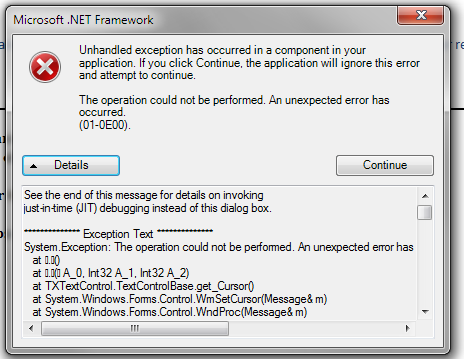 Now the fact that this explanation comes up is nice (as opposed to nothing happening), but the problem is that this kept coming up even when I disabled the Outlook social connector. Notes4Outlook also had a tendency to block my whole outlook. 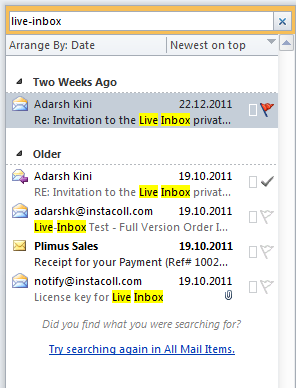 Even when I was in Calendar View, it seemed to prevent Outlook from updating the current folder. 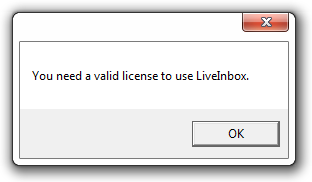 No idea how and why, but this problem disappeared after I unindstalled Notes4Outlook. 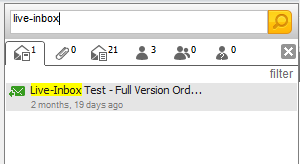 Okay, but lets forget about Notes4Outlook until someone posts a comment telling us that it is running fine now. Apart from that, I can just say, it works fine. Try it.